Managed to find the G.P. Xara Tile file Gary, hope it is of use. Found a large Tile file Gary, size on the big side but perhaps of better use? Here's the displacement map I created with a utility called ShaderMap Pro, from the color art. This can be used as a bump channel in Xara to make further visually interesting stuff. Great use of the tile Gary and the car. With or with out the car, the tile now reminds me of many squares in Italy. Searching for a tutorial online, I stumbled upon this thread. I made my own in a slightly different manner, but I still wanted to share with you. If you can put it to use, go right ahead, and thank you all for being awesome! Wow, I barely remember the tutorial! Glad to see some fresh posts here! Can you share what you did differently than the steps I proposed? Moderators need to learn, too! Last edited by Gare; 10 November 2018 at 10:27 PM. Thanks for bringing this 6 year old thread back to life. Your texture reminded me a bit of the Video Pro X 10 splash screen. I must try out some of the other ones from this thread. Of course, I should also learn how to make my own. 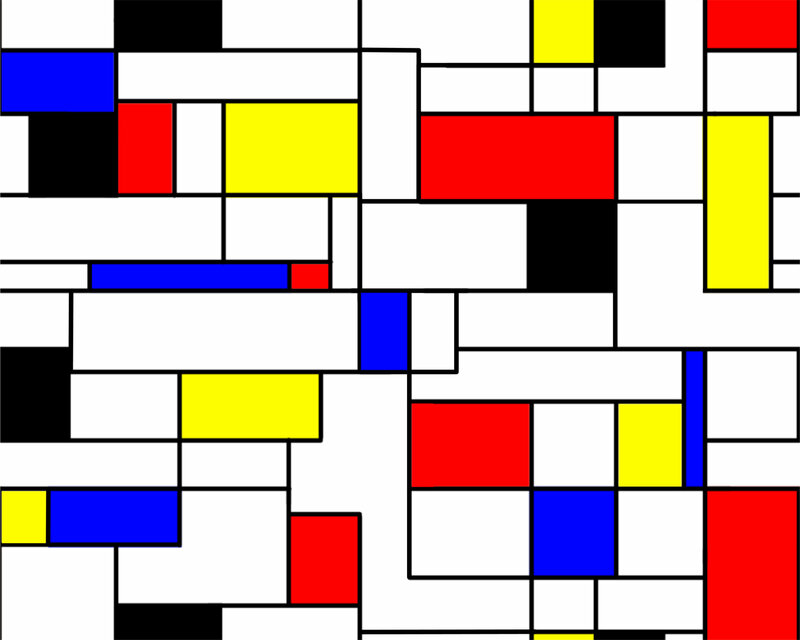 Looks good, and I love Mondrian. More structured than Calder. did this again with left and right and then all I had left to do was connect the former outsides now in the center to make the pattern whole. created a bitmap and made an object. then loaded my bitmap into the bitmap fill and selected tiled. sort of an inverted 4way kaleidoscope if you will. I must confess that regularly I use Photoshop and its Offset command to turn an image "inside-out" and then correct any flawed parts at the center. There's also Corel Painter's DEfine Pattern command that is great for painting freeform strokes. When you hit the edge of the window, your stroke continues at the other side of the document. And, although these are all bitmap tiling solutions, I discovered a fun, inexpensive program ages ago called TextureMaker. It does what you call the "4 way kaleidoscope" among other things.